Are you planning a special event and wondering how you can impress your guests with your catering? 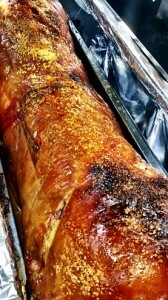 If so, why not order a succulent hog roast from Spitting Pig – the best hog roast Uttoxeter company? In choosing us, not only will you get top quality food that’s expertly prepared and cooked fresh in front of your guests, you’ll also get a top class service that’s second to none. We strive to offer our customers an exceptional service with every single bite of food taken. We have worked throughout Derbyshire including the smaller towns and villages in both rural and urban locations. Whether you’re looking to cater a private party or a business function, we’ll take care of all the food, leaving you to relax and simply enjoy the party – and all while your guests tuck into juicy, mouth wateringly good freshly roasted meats, delicious side dishes and freshly prepared salads. All our food is locally sourced, prepared and cooked on site, so you can be sure that you’re getting the very best event catering in Derbyshire. 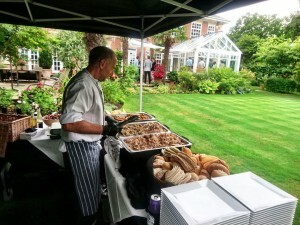 Our skilled hog roast caterers have over a decade of experience in event catering. What’s more, we’re experts in catering for all kinds of occasions, from simple and small get-togethers to huge celebrations and corporate events. 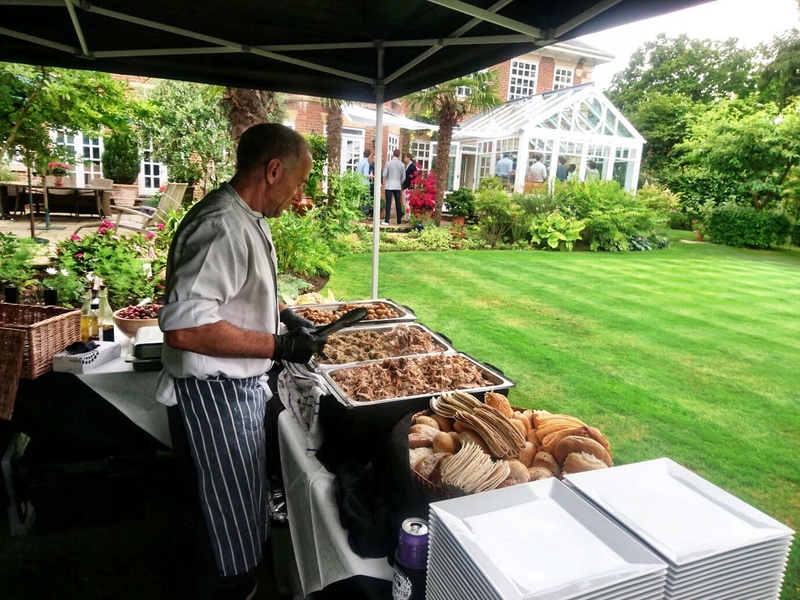 So, whether you’re looking for something a little different to celebrate your wedding, or you’ve been chosen to organise your company summer garden party, you can rest assured that our experienced caterers will be on hand to look after every element of the catering for you. Our main focus is always our client, to ensure a memorable, stress free event that is tailored to their specific requirements. This begins with the exacting discussions about your selection of menu and type of meat, how you would prefer the meat to be cooked, together with choosing the various accompaniments to be served with the Hog Roast, such as breads, side dishes, salads and sauces. Each client can have a bespoke menu adapted to meet their desires if need be. We offer a range of menus to suit all kinds of events, tastes, and budgets, so there’s sure to be one that will suit you. And don’t forget, we can take care of the practical side of event catering too as we’re equipped when it comes to the provision of tables and chairs, right through to waitressing staff. Our team will arrive at the venue at the specified time and set up the equipment, several hours before service is expected. The process of roasting the hog will begin, allowing several hours until the meat becomes tender, moist and succulent, with a crispy, golden crackling, just the way it should be! When the roast is ready, our chef will begin to carve the meat, allowing for a smooth and efficient service. If you love the idea of a hog roast party but would rather do it yourself, we offer a range of hog roast machines for hire in Uttoxeter. They come complete with cooking gas and full instructions, plus you’ll even be privy to some of our secrets for cooking the perfect hog roast too. Delivery is included in the price, so you don’t have to worry about how you’ll get it to the venue. If you require a Hog Roast or a catering service for your event, we can provide exceptional quality at value for money prices. 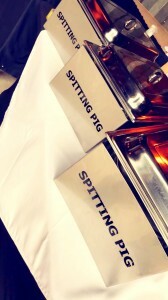 The Spitting Pig is the Company for you. If you’d like to know more about our hog roasts or hiring hog roast machines, get in touch with our team today.